This entry was posted in Edits, Interviews, News and tagged Matthias Dandois Interview - His Secrets to becoming 7 X World Champion! by Effraim. Bookmark the permalink. Great, Great Interview. Interesting all around ! Efraim, you should do a Flat Matters article about “The Fire” that Matthias talks about. It seems like riders have that fire the most in their teens and Twentys, and in their 30s and 40s it has faded and riders begin to ride for different reasons than they did in their youth. Also, it was very interesting to learn that Matthias’s running background is a key factor that has helped him win a lot of contests through endurance and that last minute of the contest run. It is also very striking to learn that one of the best Flatland Riders of the early 21st century that everyone looks up to, and has won almost everything gets really depressed when they are at home for a few days, and when they are not home they get homesick. This conflict and problem he talks about sounds like it has inadvertently been a major factor in his Flatland career. Lionel, this and your Alex interview are both amazing. Great, real thought provoking questions that provide history lessons and backgrounds combined with brilliant flatland footage as well. Keep making them. *** Updated interview with better quality version. About to board a plane back to London. One constructive criticism to Matthias’s statements in this interview is his comment about drinking water. He starts out the interview thanking Red Bull which is one of his main sponsors and a soda company for being a decisive factor in making his career happen. Then later in the interview he is adamantly telling everyone to drink water, and don’t drink soda. This comes across as a hypocritical statement considering a soda company is one of his main sponsors. If this is what he really recommends and believes then he should try to get an Evian Water sponsorship, or a sponsorship by another water company, and end his Red Bull sponsorship. That is something he should think about. I’m sure a water sponsorship is something that he could get at this point in his career. Otherwise this water statement, and his actions don’t align with one another. Looks like they might have Thought the same or he read your comment ~ the video has been taken down. Telling people to drink water shouldn’t put his sponsors in jeopardy. Really? MHO, there’s no contradiction with his statement between thanking Red Bull and drinking a pure water. We as consumers need to use energy drinks responsibly and reasonably. Energy drinks can strengthen the body for a short period of time when we really need it. The body get really exhausted when the boost from it gone. The timing to consume it really crucial. It serve the purpose. Red bull give a huge contribution to him and he serve a lot to the BMX Flatland Scene. There’s a number of factors here. In no particular order, a major sponsor can allow a rider to live the dream, if it’s a good enough salary. 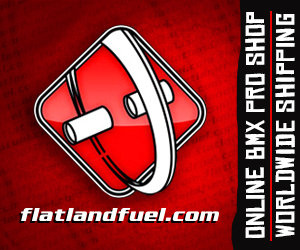 In sport, and in particular Bmx, it’s known that having a paid sponsor’s not exactly stable. Numerous riders have lost sponsors due to budget cuts, amongst a number of reasons. Then of course, we take into account, that the money’s not always going to be there, you don’t win many or no contests, sponsors start looking at the next best or biggest thing. So, like many,& I’m not implying Mattias’s is with Redbull just for the bucks, that’s his business as to why he’s with whatever sponsors.And also many realize that you may not get the chance to get paid, or paid well to ride full time again if at all, particularly in flat. But, I do get what you’re saying. Agreed about the ‘fire’ to ride more in the age brackets you mentioned. I think it’s in other sports to, that, that’s the case. But, with flat, I’ve seen many come & go due to having no 1 to ride with, which causes many to lose motivation. And even when you’re older things can change, as I’m sure you realize, such’s relationships,children to name a few. Having said that, I think if we truly love flat, wether you’ve these situations, you’ll find the time to ride. Just my opinion. Copyright issues guys, hopefully this one stays online. If not might have to be shared on vimeo? on top of everything else, he just gets it!!!! Fantastic interview. Congrats to all involved. This was so good! Thanks for posting this up!! Trueful n humble insights. Great Questions and answers sesh. Dude is talented imo. Thank you Lionel, Matthias and Effraim! Thank you all for the kind words! Thank you R for the very nice plug for Martti’s interview from a while ago. Still relevant. Definitely nice to get a broader picture than just the tricks from these very inspirationnal people! Thank you all for taking the time to watch it!